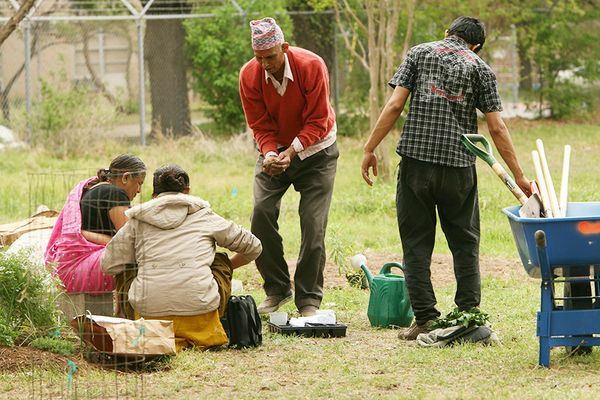 SFC's Grow Local improves community health by helping people gain skills, access land, and find resources to grow food. We envision a world in which everyone can use sustainable gardening practices to grow healthy food. We support community leaders in strengthening their local food system through home, school, and community gardens. 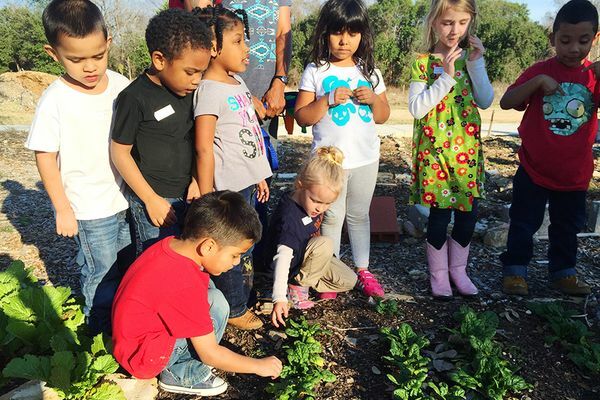 SFC's Grow Local helps teachers, parents, and community members in the Austin area start, use, and sustain successful school gardens by offering trainings, resources, educational materials, and consultation. 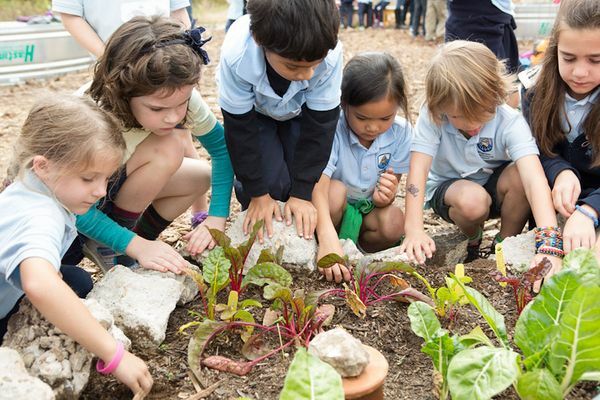 School gardens can serve as an outdoor classroom for multiple subjects and connect students to the food system. Grow Local helps Central Texas residents start and sustain community gardens by providing education, consultation, and fiscal sponsorship. 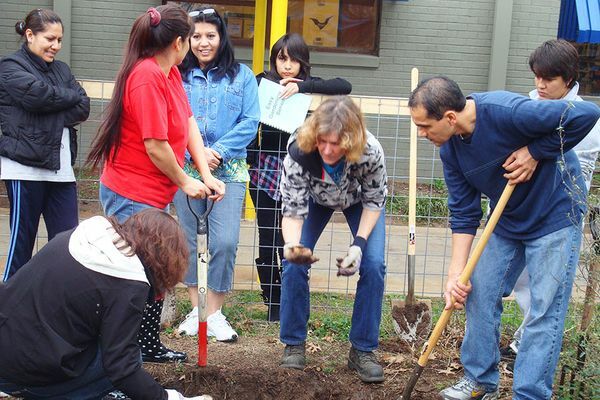 A community garden is a parcel of land cooperatively gardened by a group of people. 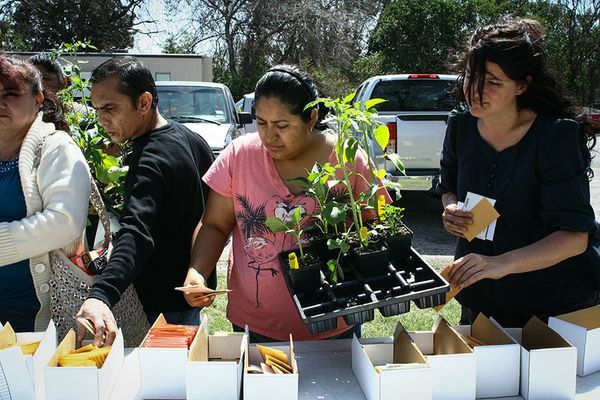 These gardens offer individuals and families a place to grow their own healthy food—especially those who don’t have space at home. J.P.’s Peace, Love, and Happiness Foundation Teaching Garden is SFC's site for gardening classes, hands-on, TEKS-aligned school field trips, volunteer work days, group tours, and self-guided visits. 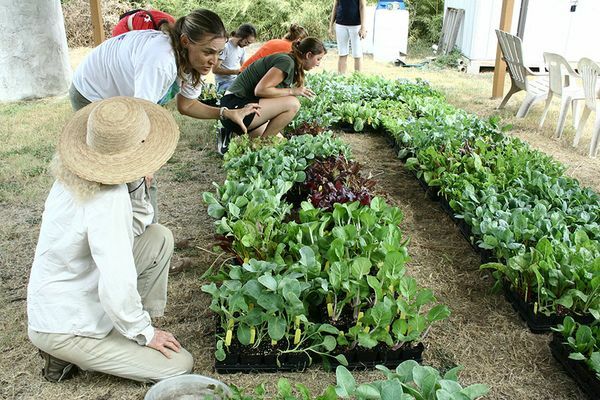 Located adjacent to SFC in the St. David’s Foundation Community Garden, the Teaching Garden demonstrates sustainable food gardening techniques that are well suited to Central Texas' semi-arid climate.